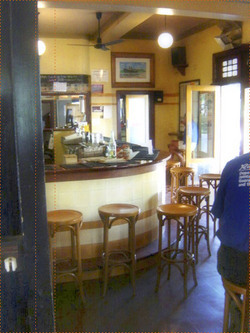 Bangalow Hotel built early 1940's and retains most of its historical and architectural charm. Centrally located in Bangalow's heritage village. less that 2 hours from brisbane, just a 15 minute drive to byron bay and only 45 minutes from coolangatta airport. The Sun Bistro offers a wide selection of dinning and beverage selections. Our family friendly venue has a focus on great food and great local service. We have TAB, Keno facilities, a large outdoor grassed area and children's play area. Live entertainment is offered on selected nights and large selection of quality and affordable meals. 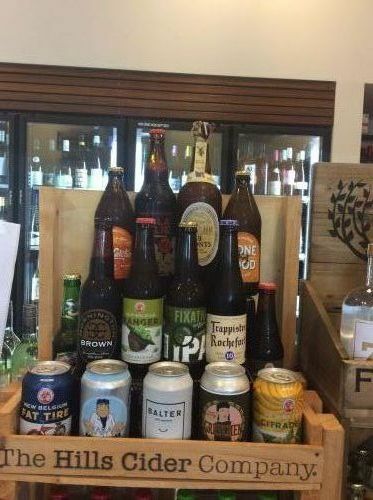 Our bottle shop has a large range of your favourite brands as well as a large boutique selection. Craft beers, local gins, hard to find wines and spirits. Friendly and knowledgeable service is what you will find in this great shop. If you are looking for a Thai restaurant in Mullumbimby, visit Spice It Up Thai and taste some unique Thai cuisine. Our Mullumbimby restaurant first opened its doors in 2006 and we have been providing our customers with delicious dishes and in-depth Thai flavours ever since. Spice It Up Thai is one of the best. Dont believe us? Then pay us a visit and give our restaurant a try. We are a family friendly place, so make sure you bring your children along to enjoy the experience. Our restaurant offers dine-in and take away options, and our employees have 40 years of combined restaurant industry experience. You can also relax and enjoy a drink or two at our licensed bar. 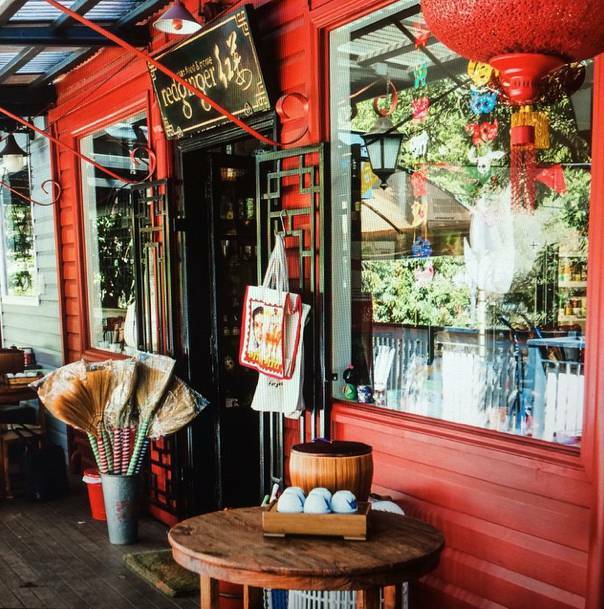 So the next time youre craving Thai food in Mullumbimby, you know where to go to Spice It Up! Fig Tree is a Ewingsdale restaurant positioned high on a hill under an enormous and ancient fig tree, with views extending all the way to Byron Bay, Fig Tree Restaurant is a very special place to dine. Our modern, seasonal and innovative menus capture the true spirit of the region whilst celebrating the diversity of nature. Red Ginger Asian Food & Home is your one-stop convenience shop in Bangalow and Byron Bay. Our shelves are brimming with an eclectic combination of groceries, homewares, furniture, cookbooks, Asian specialty foods and general merchandise. Utopia Espresso Lounge Cafe is a contemporary Bangalow cafe. We specialise in generous breakfasts, tasty snacks, local produce and creamy coffee. Pop in and check out our daily specials to uncover a new favourite. At Pantry 29 youll find everything you need for dinner and dessert. We are a Bangalow general store, stocked with groceries and offering a delicious range of take away food and ice-cream. We can also help you with catering your next function with our Northern Rivers take away food options. For delicious Bangalow burgers and take aways, drop in to Bang Burger Bar. We are a Bangalow cafe and burger bar serving up a wide range of burgers, cafe food, smoothies and coffee. Try our weekend breakfast specials for an awesome start to your day. Bangalow Heritage House Museum & Tea Rooms offer home cooked lunches, morning and afternoon tea. Enjoy a Devonshire tea and sweet treat, or gather a group of friends for high tea. Surround yourself with local history while you enjoy a bite to eat. Pace Equipment Services provides repairs, servicing and sales for commercial food equipment and kitchen equipment. We are licensed service agents for all major equipment manufacturers, with 24-hour mobile service available for breakdowns. Lulus Cafe Mullumbimby is modern vegetarian cafe focused on sustainable food options. We use locally produced and organically sourced ingredients where possible, as well as ensuring freshness and flavour. From burgers to breakfasts, drinks to desserts, there is something here to suit everybody. Serving fresh, healthy, local produce and two coffee blends, locally roasted and hand-crafted by Moonshine roasters in Federal. Puremelt Chocolate Byron Bay  Home of Sarah Wheelers award winning chocolate & brownies - organic fudge, drinking chocolate, cacao elixirs, florentines and more. Certified organic ingredients, ethically sourced, lovingly crafted by hand into delicious, raw, organic, vegan, gluten free & cane sugar free chocolate. Visit the Puremelt Chocolate Lounge in Mullumbimby.